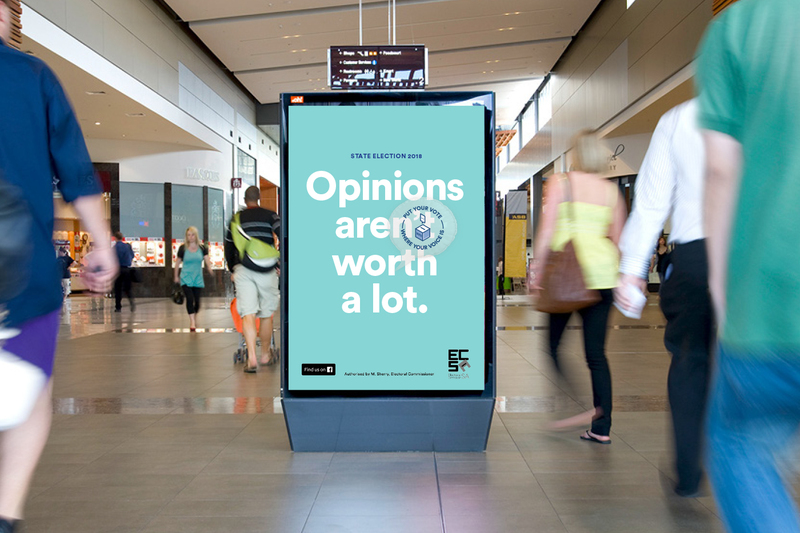 Everyone has an opinion. How do you show people how to make it count? Most South Australians know that their electoral vote matters. However, there has been growing disillusionment, particularly with younger people, many feeling their opinion doesn’t count for much. We were tasked with turning this around, driving enrolment and explaining the value of your right to vote. 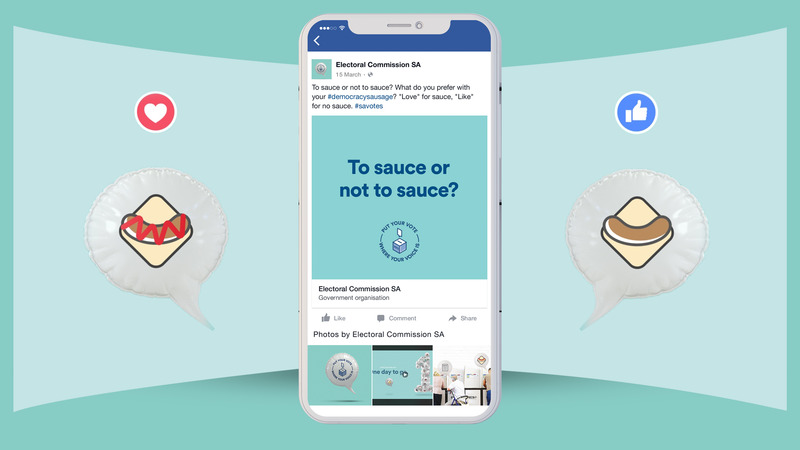 While there are a number of ways for people to express their opinion – social media, blogging, sharing – the most effective is to ‘Put Your Vote Where Your Voice Is’. 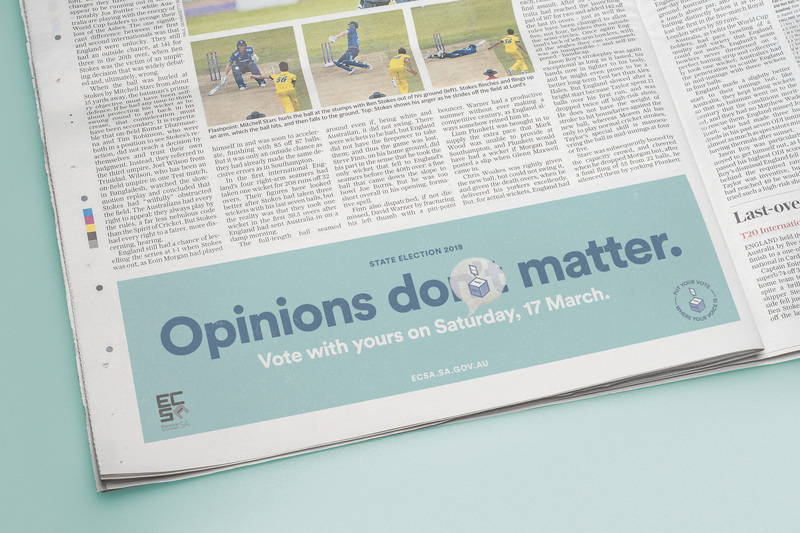 Our campaign ran through three phases, all anchored by an iconic ‘opinion bubble’, which represented our views and our entitlement to vote with them. Enrolment numbers increased significantly over previous electoral campaigns, including unprecedented numbers amongst indigenous communities. 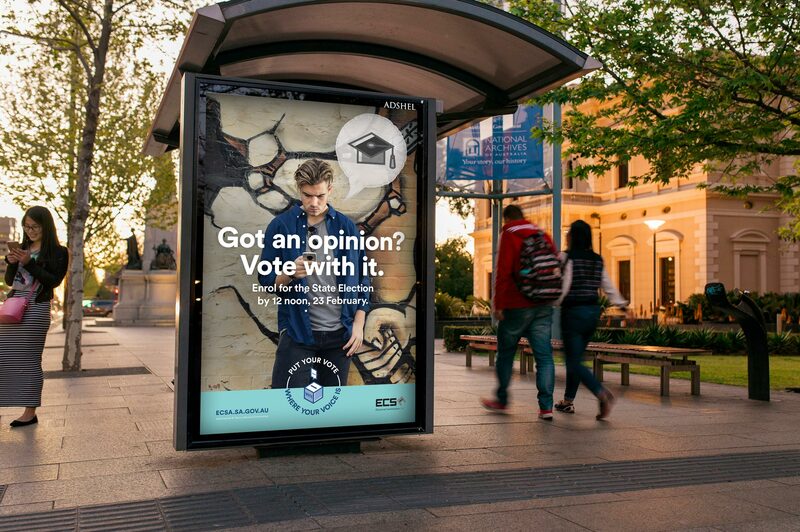 Electoral commissioner, Mick Sherry, described the work as “one of the best electoral campaigns in Australia”.